The Chateau de Castelnau-Bretenoux is one of the most impressive castles in the Quercy region; it has been listed as a monument historique by the French Ministry of Culture since 1862. 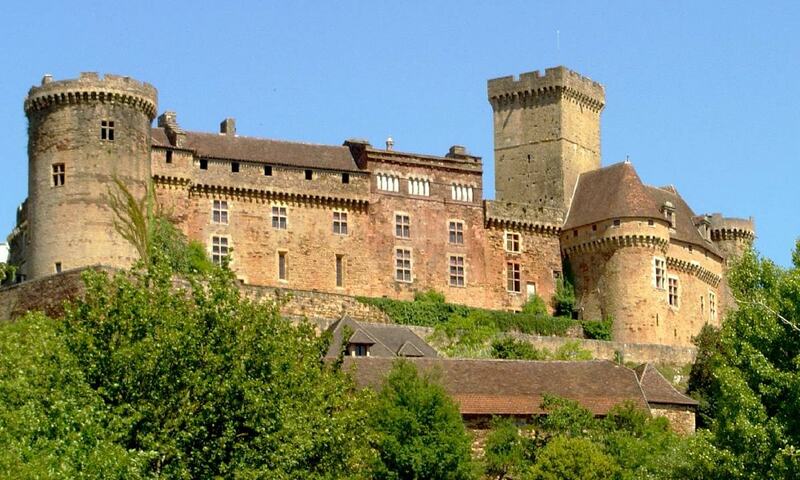 The castle is located on the top of a hill, at the intersection of several valleys; among them is the Dordogne River. The castle is visible from a distance and easily recognizable by its walls of red stone. A small village has surrounded the castle, along the slopes of the hill.